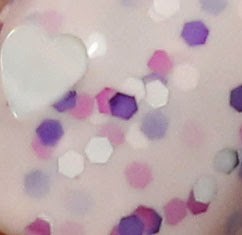 I don't often find myself gravitating toward super girly pinks and pastels, but as soon as I saw piCture pOlish Frosting online, I knew I had to have it. It just looked so sweet and delicious! However, because this color palette isn't my usual thing, I struggled a bit with how to incorporate the polish into a manicure once it arrived. 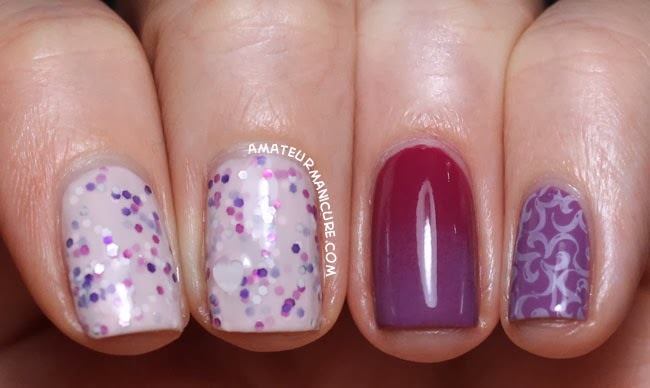 After pulling out lots of polishes and playing with them for a bit, I finally settled on a good ol' skittle mani to highlight the beautiful, creamy base and colorful glitters in Frosting. My pointer and middle fingers are two coats of Frosting (and a few coats of topcoat to make everything super smooth). It went on really well and I got exactly one heart glitter per hand, which is what I wanted. 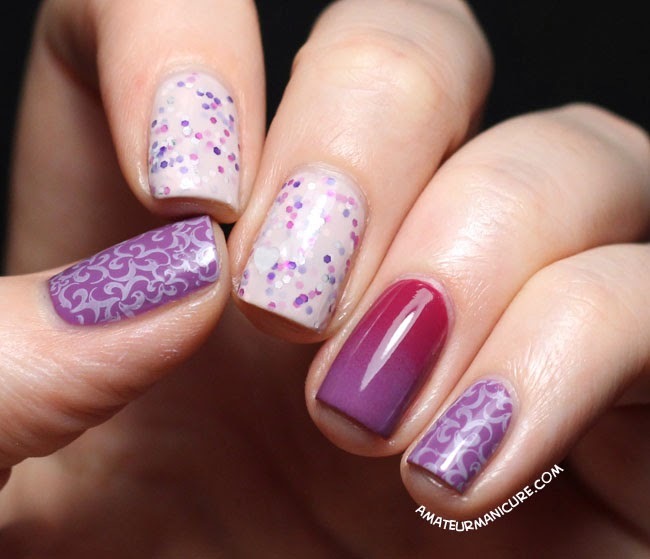 My ring finger is a gradient of Julep Nellie and China Glaze Spontaneous (applied with a makeup sponge), and my thumb and pinky are Spontaneous stamped with Zoya Marley and plate 03 from the MoYou Fairytale Collection. As is usually the case whenever I do a skittle mani, I have a favorite nail from the group: this time it's the gradient. 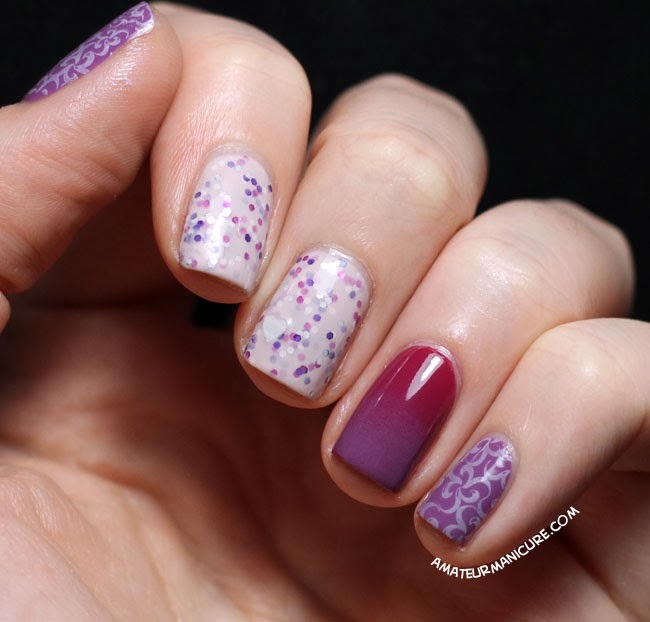 I just love how perfectly the two colors transition from one to the other! Here's a closeup of Frosting, just for fun—don't you wish you had a cupcake or cookie that looked like that on top? I know I do! I'd love to hear what you think of this look—please hit me up in the comments!